Fairmont Peace Hotel, Meeting Best - Biggest meeting management technology company in China with best meeting solution. Notice：All the prices listed above were updated by the hotels and are for reference only.The final prices will be subject to the hotels‘ quotations. Fairmont Peace Hotel in Shanghai is a luxurious Art-Deco masterpiece brilliantly reinvented for the 21st century lifestyle. Classic fashion and glamour now sparkle with a new luster, reflecting chic heritage while looking forward to modern urban flair. Situated in the Heat of The Bund promenade and a five-minute walk from Nanjing Road Pedestrian Street, it is the perfect place to explore Shanghai’s spectacular scenery and vibrant lifestyle. 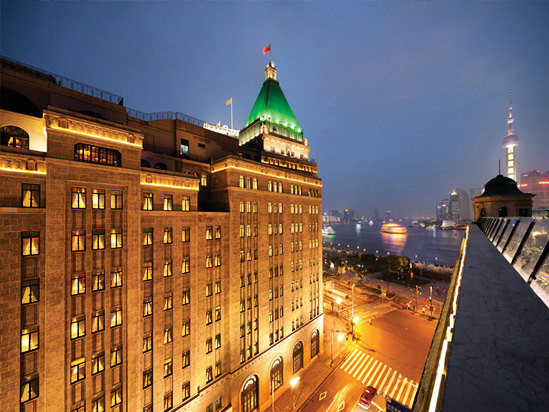 While being anchored on China's most famous historic stretch, the hotel is just a 20-minute ride from Hongqiao International Airport with Pudong International Airport a 40-minute drive away. Please enter your preferred dates of stay and submit our online booking form to make a reservation at Fairmont Peace Hotel. You haven't chosen any hotel yet! You can send RFP to 30 hotels once and get offers directly from them. I'd like a call from the sales. Copyright© 2012-2017, Meetingbest.com. All rights reserved 沪ICP备12033096号-5.